They are believed to be the last two survivors of the most chillingly efficient killing machine of the Nazi Holocaust: The Treblinka extermination camp in occupied Poland. 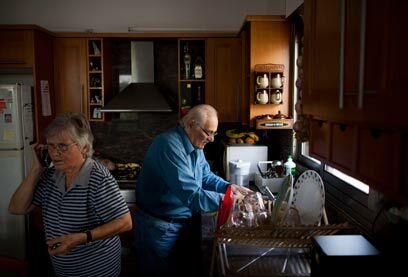 Samuel Willenberg and Kalman Taigman, 87-year-old Israelis, are devoting their final years to trying to preserve the memory of the 875,000 people systematically murdered in a one-year killing spree at the height of World War II. Almost all of them were Jews. Only 67 people are known to have survived the camp, fleeing in a brazen revolt shortly before Treblinka was destroyed. Following the recent death of a prominent chronicler, Israel's national Holocaust memorial says the two Israeli men are now the final living link to one of the most notorious death camps in human history. "The world cannot forget Treblinka," said Willenberg. "Soon there will be no one left to tell," added Taigman. Treblinka holds a notorious place in history as perhaps the most vivid example of the "Final Solution," the Nazi plot to rid Europe of Jews. Along with the lesser known Belzec and Sobibor camps, it was designed with the sole intention of exterminating Jews, and Treblinka was by far the deadliest. Victims, transported there in cattle cars, were gassed to death almost immediately upon arrival. Only a select few – mostly young, strong men like Willenberg and Taigman, who were both 20 at the time – were spared an immediate trip to the gas chambers and assigned to maintenance work instead. On August 2, 1943, a group of Jews stole some weapons, set fire to the camp and headed to the woods. Hundreds fled, but most were shot and killed by Nazi troops in the surrounding mine fields or captured by Polish villagers who returned them to Treblinka. The survivors became the only source of knowledge about Treblinka, because the Nazis all but destroyed it in a frantic bid to cover their tracks. Willenberg said he was shot in the leg as he climbed over bodies piled at the barbed wire fence and catapulted over. He kept running, ignoring dead friends in his path. He said his blue eyes and "non-Jewish" look allowed him to survive in the countryside before arriving in Warsaw and joining the Polish underground. Later in life, he took to sculpturing to describe his experiences. His bronze statues reflect what he saw – Jews standing on a train platform, a father removing his son's shoes before entering the gas chambers, a young girl having her head shaved, prisoners removing bodies. "I live two lives, one is here and now and the other is what happened there," Willenberg said in an interview at his Tel Aviv apartment. "It never leaves me. It stays in my head. It goes with me always." His two sisters were murdered there. He described his survival as "chance, sheer chance," choking back tears. "It wasn't because of God. He wasn't there. He was on vacation." In all, the Nazis and their collaborators killed about 6 million Jews during the Holocaust. The death toll at Treblinka was second only to Auschwitz – a prison camp where more than a million people died in gas chambers or from starvation, disease and forced labor. Taigman said he recalls the uprising vividly, and that resisting the Germans was a "dream" for the prisoners. He entered Treblinka holding the hand of his mother, who was quickly pulled away from him and murdered. He left watching a Nazi flag burning in the distance from a blaze they had set – a small piece of revenge after nearly a year of torment. 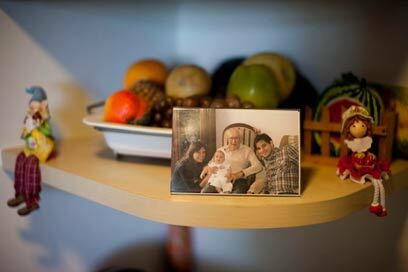 "It was hell, absolutely hell," said Taigman, who lives in a retirement home south of Tel Aviv. "A normal man cannot imagine how a living person could have lived through it – killers, natural-born killers, who without a trace of remorse just murdered every little thing." Taigman, who wandered in the Polish countryside for nearly a year after his escape, said his most lasting memory of Treblinka is fellow prisoners who had to remove bodies – often their own relatives – from gas chambers. Treblinka holds such a powerful grip on the Jewish psyche that the will of a recently deceased Holocaust survivor in Israel instructed her children to cremate her body and sprinkle her ashes at the Polish memorial site – so that she could finally be reunited with her relatives who perished there. After the war, Willenberg and Taigman made their ways to Israel, where they pursued careers and raised families. Willenberg became a surveyor in Israel's Housing Ministry, while Taigman was an importer. The survivors have maintained their special connection, meeting each other often over the years. David Silberklang, a senior historian at Israel's Yad Vashem Holocaust memorial, said that in contrast to other camps where Jews were also used for industrial labor, Treblinka truly represented the essence of the Nazi Final Solution. "Treblinka had nothing, just killing, and they almost finished the job. These camps left us almost nothing," he said. Without the survivors, he said "it would just be a black hole, we would know nothing. With them, we know quite a lot," he said. One of the men most responsible for documenting the atrocities was Eliahu Rosenberg, who was tasked with removing bodies from gas chambers and dumping them into giant pits. He passed away in September, but before his death recounted his experiences in a video testimony to Yad Vashem. "It poisoned, choked people within 25 minutes, all would suffocate. It was terrible to hear the screaming of the women and the children. They cried: "Mama!" "Tata! (Dad)" but in a few minutes they choked to death," he said. "The crematoriums were train rails which lay on a concrete base. On them were wood planks, we called it 'grills.' We threw the body parts onto those 'grills,' and with a match everything burnt. And we stood there ... and it burned all night, all night long." After the revolt, the Nazis attempted to destroy all evidence of their atrocities. The camp structures were destroyed, the ground plowed and planted over. Today, all the remains at the site are a series of concrete slabs representing the train tracks, and mounds of gravel with a memorial of stone tablets representing lost communities. The two remaining survivors have returned to lead tours of the site. Taigman made the trip just one time, saying it was too painful to go back again, while Willenberg has gone on several occasions, most recently last week. "There are only two of us left. After we go, there will be nothing," said Willenberg. "All I will leave behind are my sculptures and most importantly, my daughter and my grandchildren." See all talkbacks "Only 2 survivors remain from Treblinka"